It’s already been a pretty wild off season in the NHL with lots of big names changing teams. As we are in the dog days of summer, we might as well get prepped for the 2016-17 season and discuss the fantasy impacts of all these moves. I introduce to you Offseason Fantasy Quick Hits. I will be discussing the fantasy impact of all major moves made by all NHL teams over the course of the summer. Part thirteen of the series previews the Montréal Canadiens for this upcoming season. I think we can all admit last year was a disaster for the Canadiens. They came flying out of the gates and crumbled when Carey Price went down. Good news, Carey Price is back to full health, which has to be good news for the Habs this upcoming season. Full disclosure: I am a Leafs fan and will try to take my homer goggles off for this analysis. As much as this pains me to say it, I think the Canadiens do much better this upcoming year. They are definitely a team that I think will make the playoffs in a wide open Eastern conference. 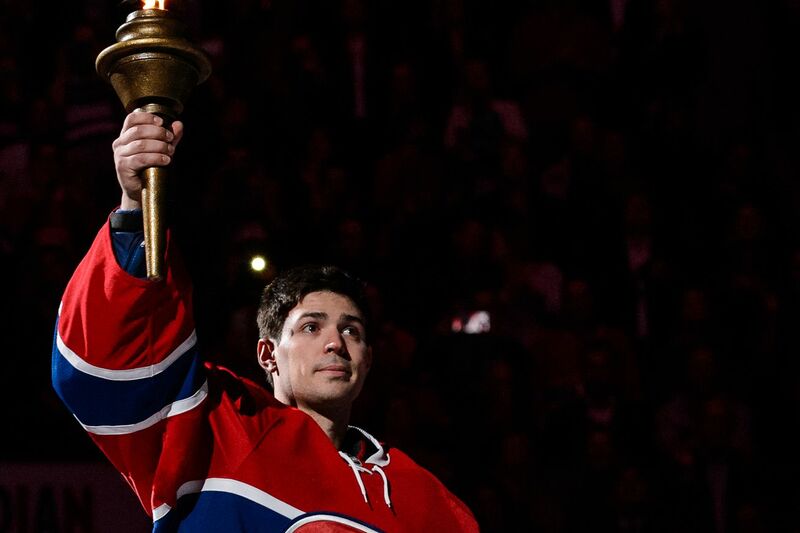 Carey Price should be the #1 goalie you take in your draft. Some managers may be wary about selecting him since he’s coming off a big injury, but if you are smart, you’ll nab him right away. I think a good showing at the World Cup of Hockey will erase everyone’s doubts and he will rise up the draft boards. If your draft is before the tournament, hopefully you can capitalize on this and get him at a low draft slot. His season two years ago where he won both the Vezina and the Hart was magical. If he can play half as good as that, you still have a great fantasy goalie. I’m not a fan of taking goalies in the first round of fantasy drafts, but if you took one, I’d say make it Price. Anywhere from the first pick of the second round down, and I like your pick. Once Price went down, the whole team lost their mojo. Everyone’s play suffered, including Max Pacioretty. He still managed to score 30 for his 3rd consecutive 30 goal season. The guy is at a prime age and I’m definitely buying on him. I think 40 goals is attainable. I’ll be a little more conservative and say he ends up with 35 goals and 70 points. Still, anywhere around the 3rd round I think he’s a great pick, as goal scoring comes at a premium and not many can score like Max. Alex Galchenyuk is everyone’s breakout candidate every year. This year is no different. I’m not sure he’s an 80 point guy yet but I think he can do 30 goals and 65 points this year. He has a high ceiling, and is certainly a guy I like in the middle rounds of the draft. He keeps getting better and better every year which is definitely something you want to see. I’ve always been a huge fan of Alex Radulov in fantasy. The guy has been a superstar in every league he’s played in, whether it be the QMJHL, the AHL, or the KHL. He’s even put up 58 points before in the NHL and that was a long time ago. I think there’s a prime opportunity this year in leagues to get him. He probably won’t be ranked as high as he should. I think he can get 30 goals and 80 points this year. I’m not saying he will, but he is a high ceiling player. This would give him 2nd round pick value. I doubt he’s ranked in the top 50 or maybe even 100 players, and if you can get him later than the 2nd round, I’m all for it. I think this is a pick that can pay serious dividends. For a more conservative estimate I’ll guess he ends up with 65-70 points, which still makes him a great pick. In real life, I like the P.K. 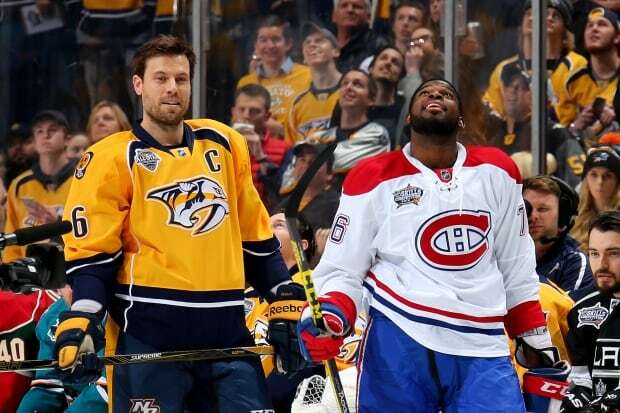 Subban – Shea Weber swap for the Habs. They don’t have a cap re-capture risk with Shea Weber (it’s all on Nashville) and at the same time get the better all-around defenseman right now in their compete window which makes them a better team. In fantasy, I don’t like the trade as much. Weber can still get you 20 goals, but I think his ceiling is somewhere around 50 points, where Subban had that sky high potential to put up 65 or even 70 points. Weber is still a top fantasy defenseman however I think he is now a shade below the elites such as Subban, Letang, Burns, etc. I wouldn’t draft Andrei Markov this year. He showed signs of age and decline last year and I’d stay away, even after three consecutive 40 point years. Unless he significantly falls late in your draft, I think there will be better options. Just because Montreal handed Andrew Shaw a lot of money, it doesn’t make him fantasy relevant. I hate the contract in real life, and in fantasy Shaw shouldn’t be considered for drafting. At this point he’s a watch list guy at best. Al Montoya is a great backup goalie but simply won’t be relevant as long as Carey Price is healthy. An injury changes things though. A lot of people have high hopes for Brendan Gallagher after putting up 40 points in only 53 games last year. I hear a lot of people guessing 65-70 points. I am not as high on him, but maybe it’s just me. I think he will finish more around the 25 goal, 55-60 points mark. If other people are very high on him, I’d say let them draft him. I don’t mind him as a mid round pick though. Lastly, I’ll say I’m not a huge fan of Tomas Plekanec. I think he does more for you in real life than in fantasy. He’s not a guy I will be drafting, even though he’s pretty reliable for 55-60 points. I prefer guys with higher ceilings than him. Not a fan of David Desharnais either (nor is anyone I don’t think) and I wouldn’t draft him. Nathan Beaulieau for years was touted as a top prospect for the Habs, but those days have seemingly passed. He has a slim chance to contribute fantasy worthy numbers. Don’t draft him. Keep an eye on Nikita Scherbak this year at the AHL level. He could be a mid-season callup if he does well. I doubt he is fantasy relevant this year. Mikhail Sergachev is also a top D prospect for the team but he is a few years away as well.